This helmet is lightweight and fits well. Great style. This is a great helmet. 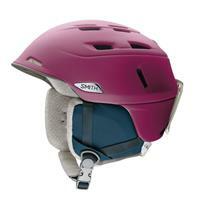 It combines fit, warmth, comfort, and functionality together in a perfect combination. I love the MIPS feature for added protection in the event of a fall and the seemless goggle compatibility ensures fog-free lenses when going from cold to warm temperatures. 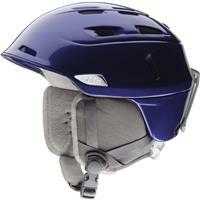 Protection plus style. This is a lower profile style which lays a little more flat then other styles. So less "Bubble top" effect. 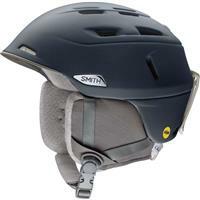 The adjustment feature is easy to use, as well as the easy ventilation adjustment feature. Does run small, most women need at least a Medium. 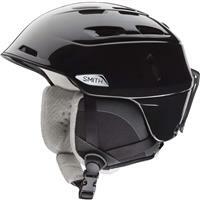 I just upgraded to this helmet, I love the style, fit and added tech features of the vents and MIPS system. Influencing my decision to get this helmet is that I have I/OS smith goggles, and they are perfectly compatible the goggles and helmet. Great product for the price. 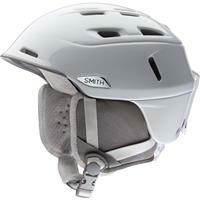 This helmet is lightweight and interfaces with Smith googles flawlessly. Comes in a variety of colors and provides warmth on the coldest of Vermont days as well as ability to vent and remove ear flaps on the warmest of Tahoe days. 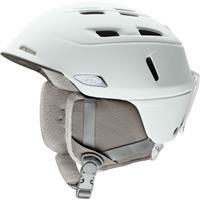 Awesome helmet with comfterable cushioning. Keeps you warm and has vents if you need it in warmer weather. Great product overall. Super comfortable, great fit. Warm in the coldest conditions, with removable ear flaps and super venting for spring skiing. 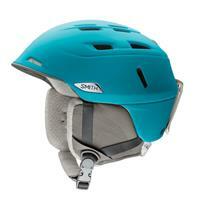 Sleek design and fit, and love the MIPS feature for added impact protection.